When you are detecting drugs and explosives you need fast, reliable equipment that is easy to use. You are relying on equipment that works. Biosensor’s technology is developed to meet these requirements. Our vision of a drug-free and safe environment has led to a biotechnology discovery and development of a unique multi-application detector for drugs and explosives called BIOSENS®. Biosensor’s research and development has taken the complex problem of identifying trace amounts of several chemicals into simple operational equipment for the field. 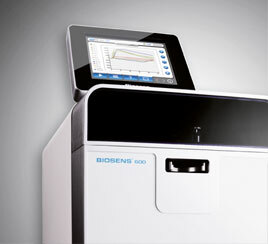 BIOSENS® equipment combines advanced software algorithms, state of the art fluidics, biochemistry and electronics. All you need to complete a test is a sample and one touch of a button. A drug or explosive is detected with excellent sensitivity and selectivity. BIOSENS® equipment is based on immunoassay principles combined with Surface Acoustic Wave (SAW) technology. This technology currently enables detection of twelve substance groups simultaneously. BIOSENS® technology is covered by a total of 50 approved patents. BIOSENS® equipment features an intuitive user interface localized according to customer requirements. The operator decides which type of analysis to be performed by pressing one of the pre-configured detection buttons. An integrated printer prints test results immediately. Information on printed tickets can be pre-configured according to customer needs. All consumables used with BIOSENS® are identified by a barcode system enabling carefree maintenance and updates covering new substance configurations.